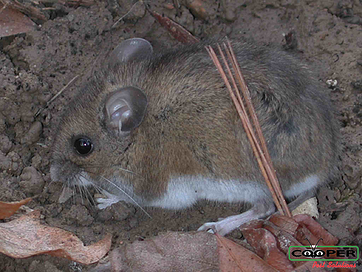 Mouse infestations are only increasing within residential homes in New Jersey and Pennsylvania. After mice enter your home, they can be extremely difficult to get rid of since they often live in hidden areas within garages, attics, lofts, and wall interiors which is why store bought solutions often fall short. Do you have mice in your home? Or maybe you want to learn more about how mouse control works. Our library of mouse information will answer your questions. Where do mice hide in my home? How much does mouse control cost? Do I have mice or squirrels? Why are mice in my home? Does steel wool really repel mice? Mice make their nests in houses where there human activity is the lowest. They seek out places where they are least likely to be disturbed to create their nest. A single mouse will create a nest to live and raise pups. Once pups are old enough to live on their own, they leave the nest and create their own individual nests. Secure and protected areas with little activity that provide close access to food and water are ideal locations for mouse nesting. The best way to tell if you are being charged too much or too little is to do your research. 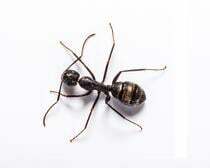 Local pest control companies will have pricing that greatly varies based on their specific business and tools. To find a pest control company whose pricing meets your needs, you must first determine what is most important to you and then ask the questions below. Reliability- Learn about the elements of the service. Is the company willing to come out after the initial service? Are the technicians state-certified? Service Guarantee- Are the services guaranteed? Is the company willing to do whatever it takes to help you maintain a pest-free home? Reputation- How long has the company been in business? How do customers rate them online? Tactics- Are they applying chemicals as the label indicates? Are their services based on science? Are they using minimal pesticides? Price Only- What is the cheapest company, regardless of the quality of service? Read through the company’s website to make sure they clearly outline what your service entails. If the features of a service are unclear, it might not be trustworthy. Check reviews on Google and Facebook. Reviews from past and current clients cannot be mandatory, so their opinions are honest. “Mice only need a ¼ inch gap to enter your home,” according to Dr. Richard Cooper, staff entomologist for Cooper Pest Solutions. “So homeowners need to seal up any obvious gaps around entry doors, garage doors and utility penetration points that are a ¼ of an inch or larger.” Mouse activity can be present year round, but typically becomes more of a problem when the warmer months are coming to a close when they are seeking shelter from the cold. Mice are attracted to your home because they have found a food source and are not being disturbed, allowing them to multiply quickly. Preventing mouse infestations can be as easy as following the guidelines below. Food – Make it a habit to sweep up crumbs in your kitchen and transfer pantry items such as cereal that comes in boxes into sealed plastic containers. 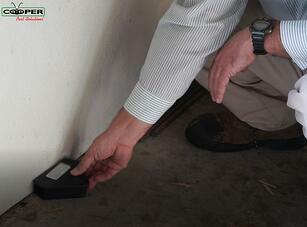 Entry Points – Seal cracks and crevices around the foundation of your home. Visual Inspection – Perform visual inspections. Do you see mouse droppings? Are you hearing scratching at night? The sooner you act on the problem, the sooner it can be resolved. Droppings – Mice constantly eat throughout the day, which is a lot for their little bodies. Droppings are left behind and will appear to be black or brown in color and the shape of a grain of rice. Scratching – They are nocturnal creatures. If you hear light scratching in your home at night, it could be mice. 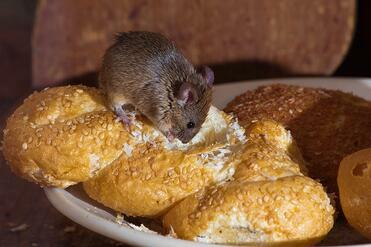 Tampered food – While in search of shelter, mice are also in search of a food source. It’s much easier to eat food from your pantry than search for food outside in the elements. Signs of tampered food are cereal boxes or other pantry items that look like they were chewed through along the edges. Similar to mice, squirrels can make their way into your attic and create their nest. The main difference between squirrel and mouse infestations is the time of day that they are active. Mice are nocturnal, whereas squirrels are diurnal. Mice – You may actually see mice. They crawl along edges of walls so you probably won’t see them running through the middle of a room. Due to their nocturnal nature, they will be most active at night. Damaged entry points including around the fascia boards, shingles, eaves troughs and outer panels with all kinds of damage along the roof line. Mice vs. Rats. What's the difference? The typical House Mouse (Mus musculus) is anywhere from two to four inches in length, as opposed to the common, and much larger, Norway Rat which measures seven to nine inches in length. Of course, it may be easy to distinguish between the two if both are at adult size, but a juvenile Norway Rat that has not reached full size can look similar to an adult House Mouse. When it comes to nesting, mice are skillful climbers and have no problem inhabiting the attic in your home. Due to their small size, mice can also fit into the smallest of holes, allowing them to access parts of your home you didn’t think anything could fit in. Rats, on the other hand, can climb but prefer to inhabit lower levels of a structure, such as a basement or a crawlspace. Both rats and mice can gnaw on various structures and wires in your home, which can lead to fire hazards. Mice have weaker teeth than rats, which means that any food source that is properly stored in glass or metal can prevent the mice from contaminating it, but that may not be the case with rats. Rats are much stronger than mice and have been known to gnaw through various building materials, including aluminum, wood, glass, sheet metal, and even cinder blocks. “Typically mice will start entering homes as the weather starts to cool down for warmth,” said Dr.
Richard Cooper, staff entomologist for Cooper Pest Solutions. What many homeowners don’t realize is that mice can squeeze through holes much smaller than their body size, making it possible for them to into your home through even the smallest of holes on the exterior of your home. 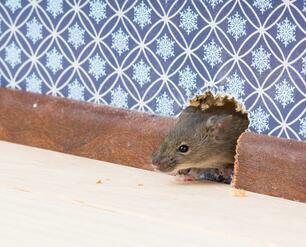 Mice can actually fit into holes as small as a dime and can quickly slip into your home unnoticed. There is nothing in steel wool that repels mice. However, it will keep them from getting into cracks and crevices in your home. Simply go to your local hardware, grocery, or wholesale store and buy some steel wool. Walk around your house and look for any holes or cracks that a mouse might squeeze into and stuff the openings with the steel wool. Unlike drywall or other materials, mice have a very hard time chewing through the steel wool making it the perfect filler. Common areas, which should be filled in with steel wool include corners of unfinished basements, the perimeter of crawl spaces, and utility entry points such as plumbing pipes. WHY CHOOSE COOPER FOR MOUSE CONTROL? We serve the communities where we live. Our dedication to community involvement includes contributions such as youth sports sponsorships, charitable giving, and events. We are an award winning company. Some of our awards include the HomeAdvisor Elite Service Award, Angie’s List Super Service Award, The Best of Bucks for the Intelligencer and the Bucks Courier Times, NJ Biz Best Places to Work, SmartCEO’s Family Business Awards finalist and more. For fast, convenient service, Schedule our One-Time Mouse Control Service online today.